Q. How many years have you been in Irving? A. We have been in Irving since 1999. 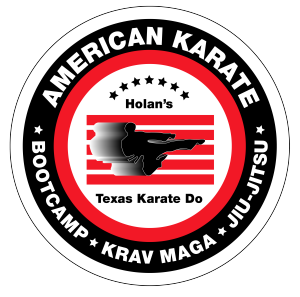 Master Holan has been practicing in the Martial Arts for 49 years. Q. Do you offer a trial class. A. Yes, we offer you or your child a free class. Q. When can my child try a free class? A. We have several options if you could please call the school at 972-258-8333 we can schedule a time that is convenient for you and your family. Q. Do you I need to sign a contract? A. Yes, we consider these commitments to be 2-sided (meaning that the instructors are committed to your childs growth and advancement for the duration of the contract). A. No a uniform comes with the signing of a contract. Q. How old does my child have to be to join a Karate class? A. We start them out as young as 4 years old. Q. Does your school participate in tournaments? A. Yes, we as a school go out to different tournaments within the area. Also, announce tournaments that students might be interested in attending on their own. Q. Who teaches our classes? A. We have certified black belts teaching all our classes. We do have some of our junior leaders assist children before class time. Gives junior leaders a chance to show the students that they to can become junior leaders. Q. What resources are available outside of regular classes? A. We have a website dedicated for our karate students of each belt level curriculum. We also have DVD's for sale of the Master of the school for each belt level and how to execute each kata and the curriculum.